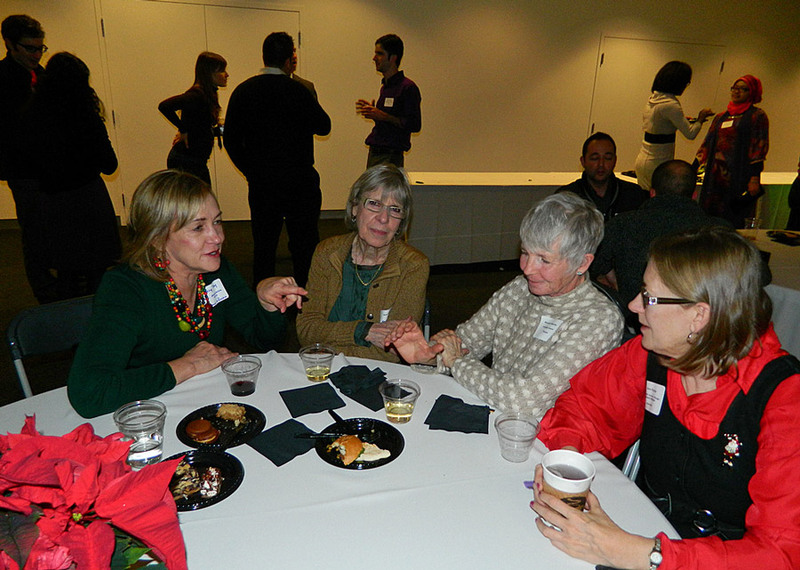 ON DECEMBER 7, 2012, OVER 90 people attended the Winter Holidays Reception and the 2012 Dee Sarelas Service Award Ceremony that took place in Columbia College Chicago. 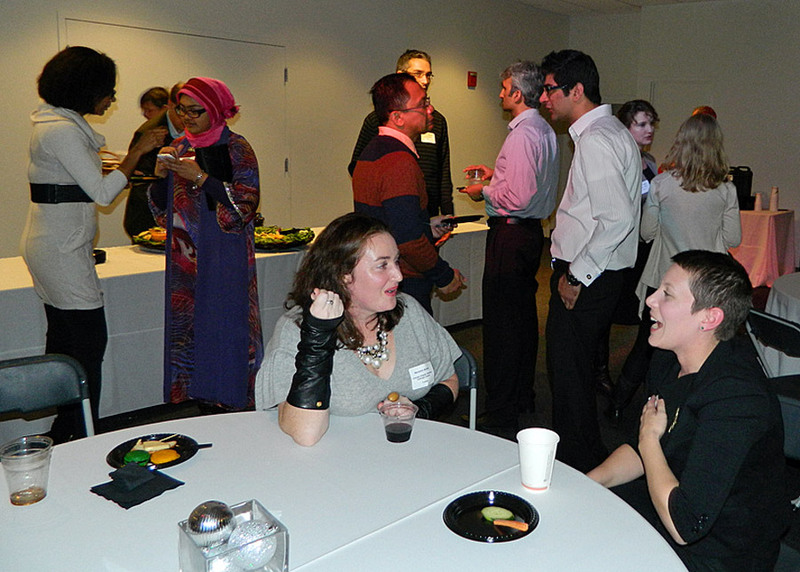 It was a night of camaraderie and enthusiasm. 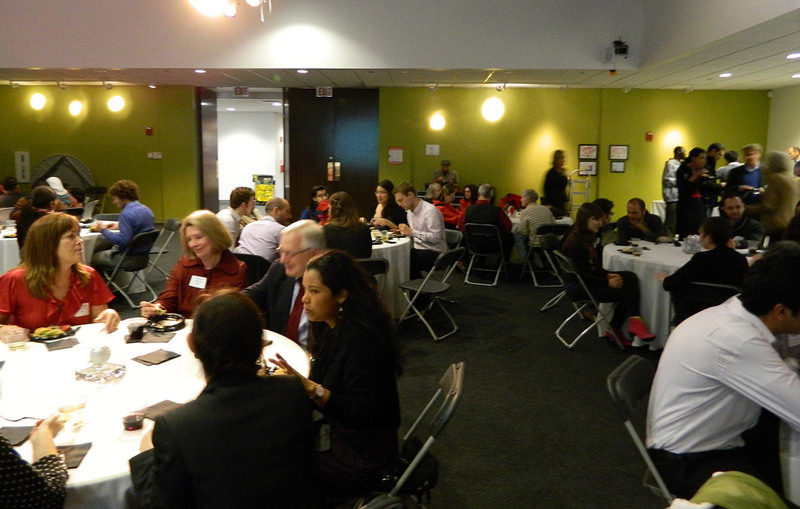 In this opportunity Fulbright scholars came with their families and had the chance to interact with Fulbright students, Fulbright alumni and several representatives from the Consular Corps. 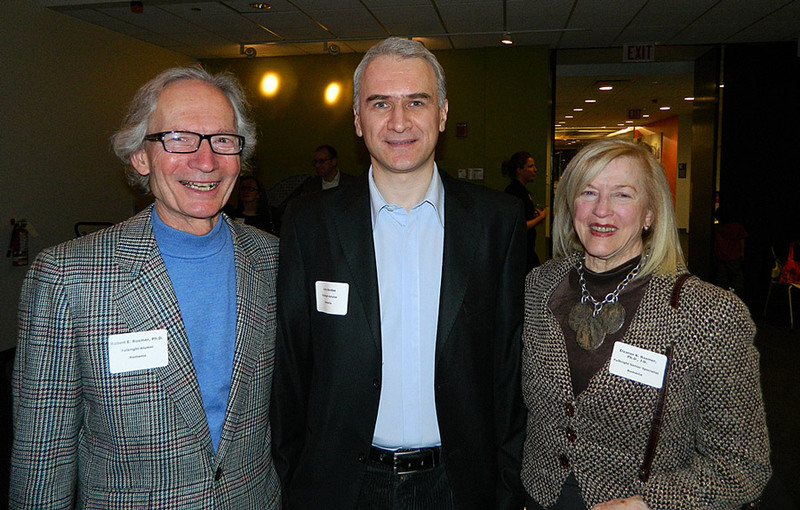 Nancy Day, chairperson of the Journalism Department at Columbia College Chicago and a Fulbrighter to Russia welcomed the participants. 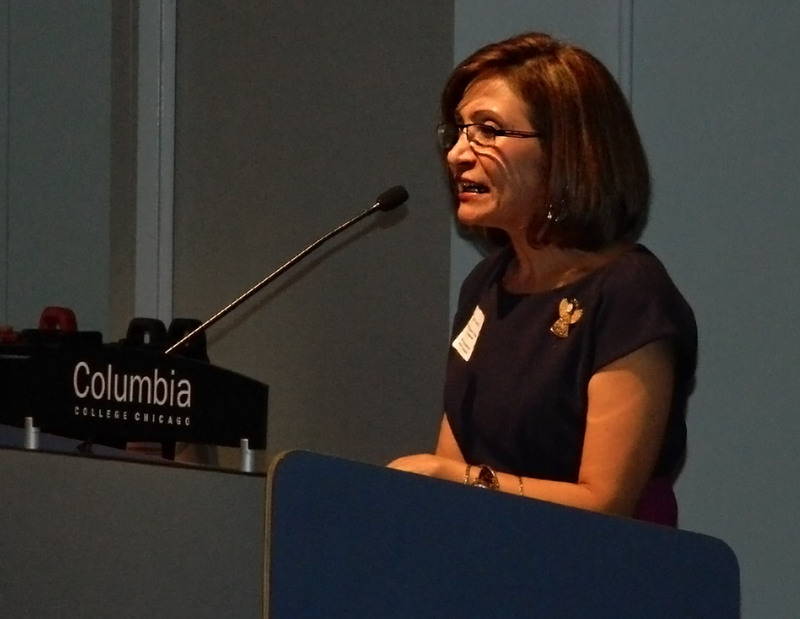 After being introduced by Elio Leturia, president of the Chicago Chapter and an associate professor at Columbia College, Day remembered the significant experience she had during her time abroad and encouraged the foreign students to explore Chicago and enjoy their stay in the Windy City. 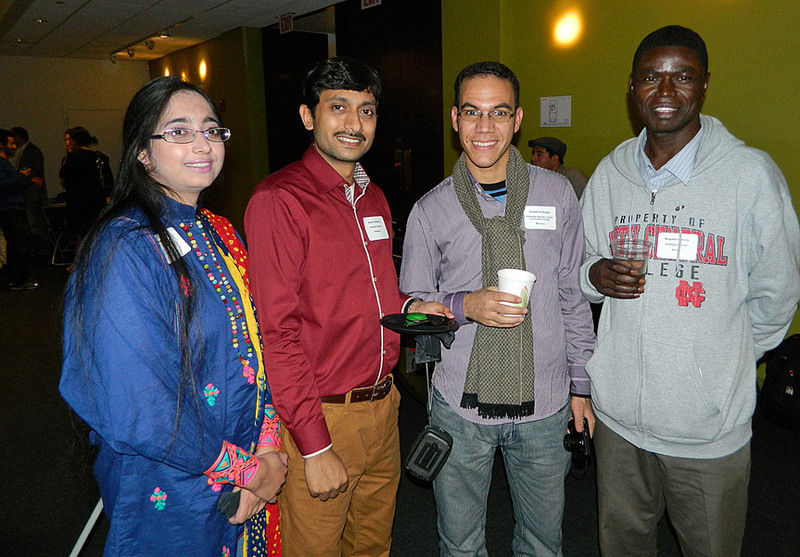 Lexy Gore from WorldChicago was among the guests and acknowledged the fact that this gathering had offered the chance to bring students, scholars and alumni together. 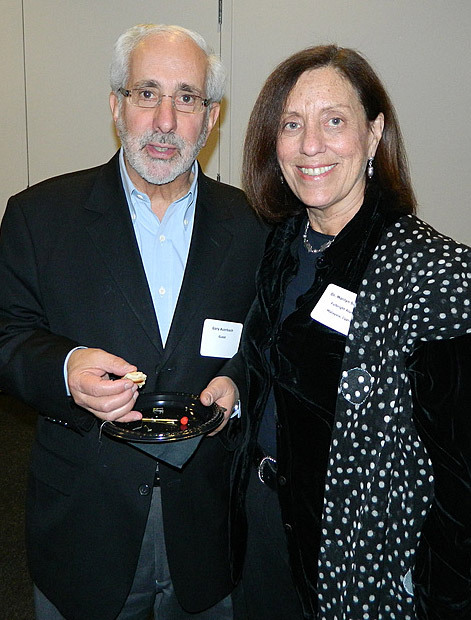 “This is a great event,” she said. 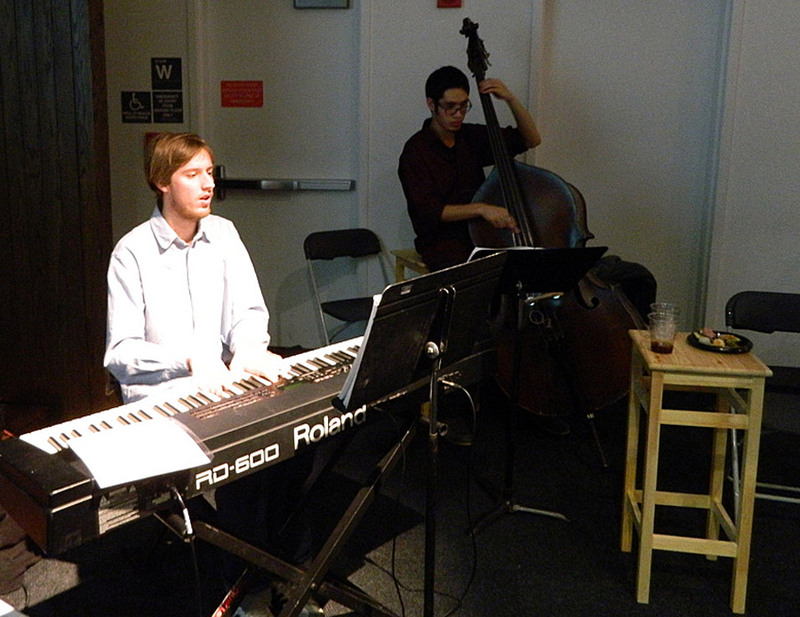 A Columbia College Chicago Jazz trio entertained the audience with beautiful music celebrating the holidays. 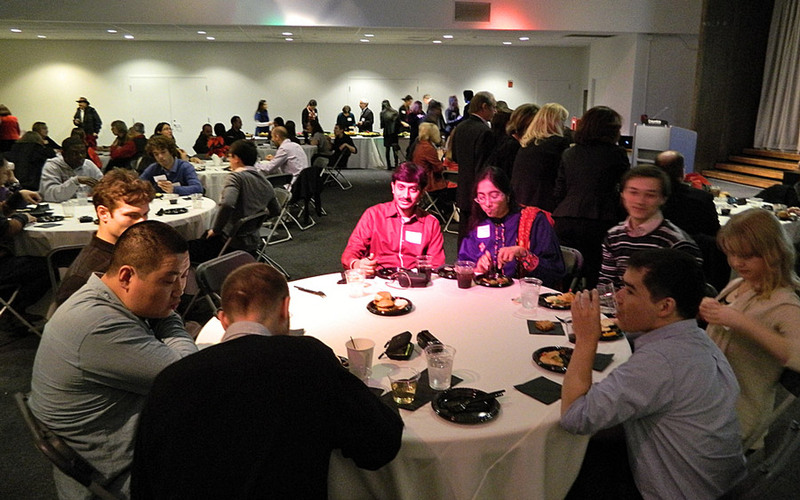 The Dee Sarelas Service Award Ceremony also took place that night. 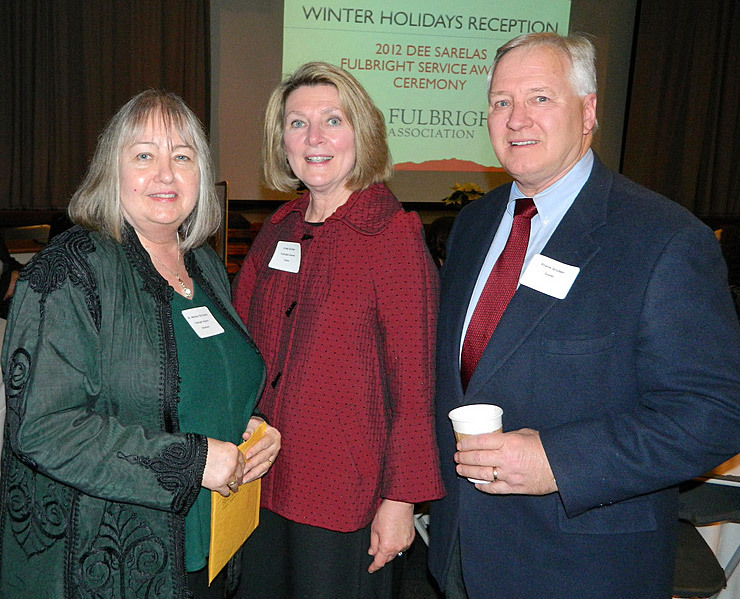 This is the third edition of the award that honors Dee Sarelas. 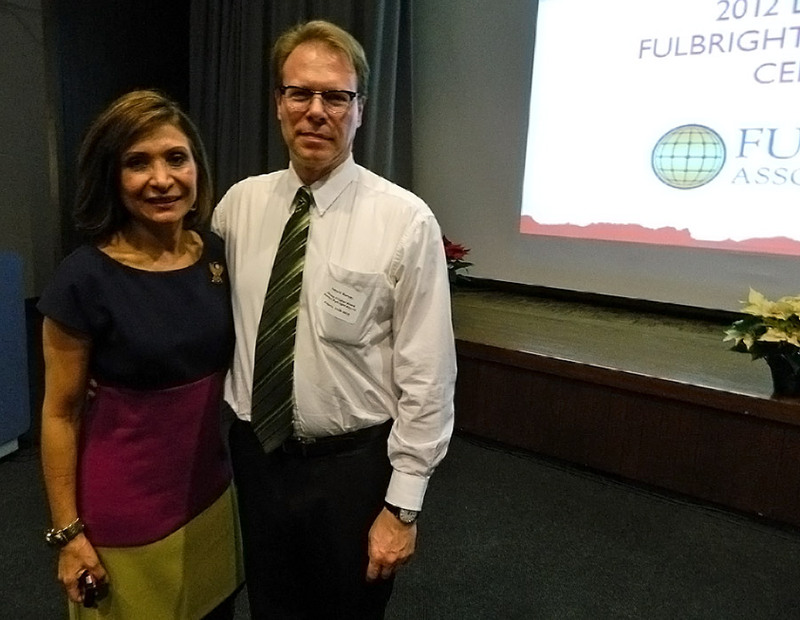 Dr. Ana Gil García, a professor at Northeastern University was given the award, which was presented by Thomas Ahleman, vice president of the Chicago Chapter and last year’s winner. Gil García shared with the audience her memories of Dee Sarelas, a Fulbrighter to Greece who started the Chicago Chapter years ago. 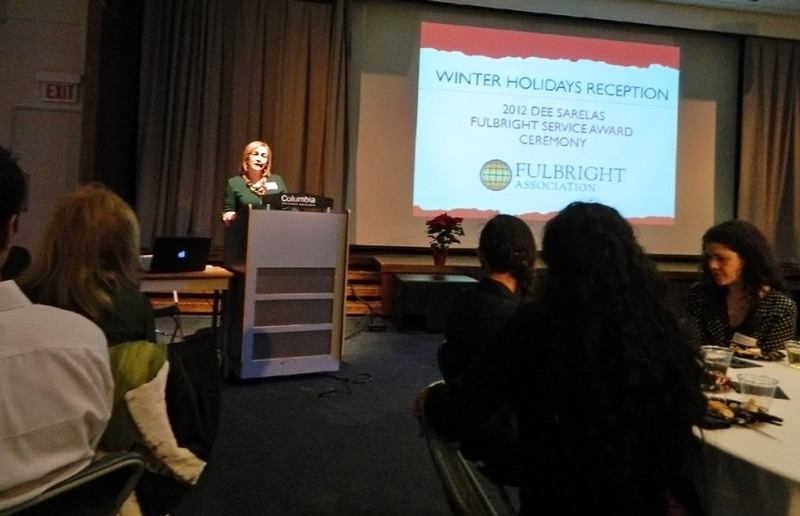 Gil García eloquently explained the efforts of Sarelas in bringing together the Fulbright community in Chicago. 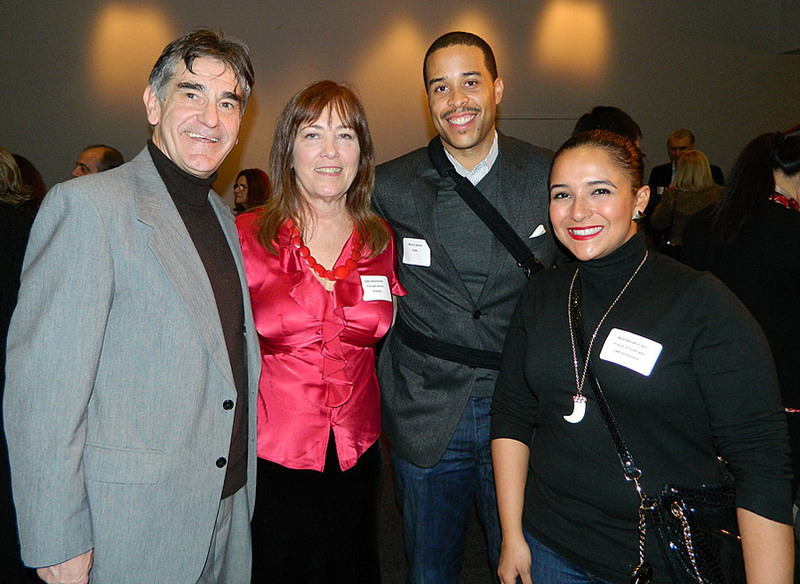 “I am deeply honored to get this award,” Gil García said. 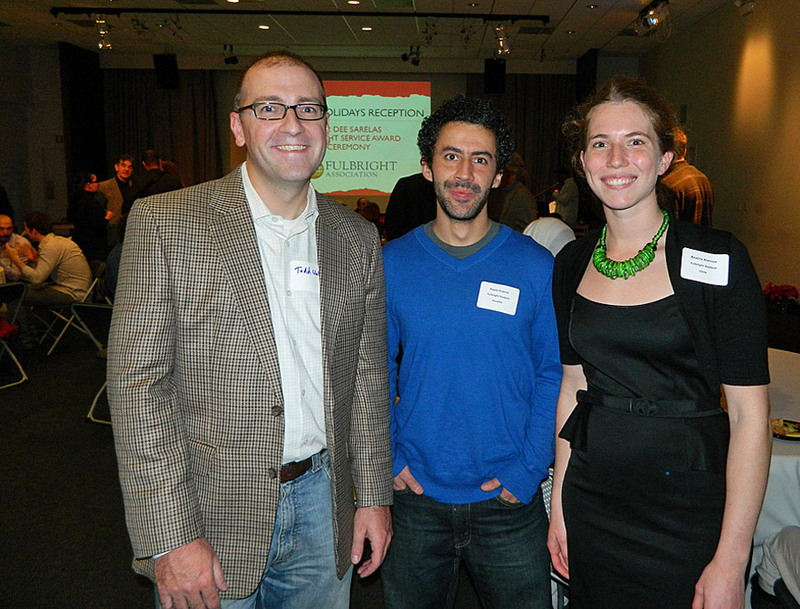 Gil García, who was also a president of the Chicago Chapter during the years 2007 and 2008 had come back from a visiting professorship abroad in Egypt where she continued her efforts with the Book Partnership program, an initiative that donates books to schools and universities around the world, which she started five years ago. 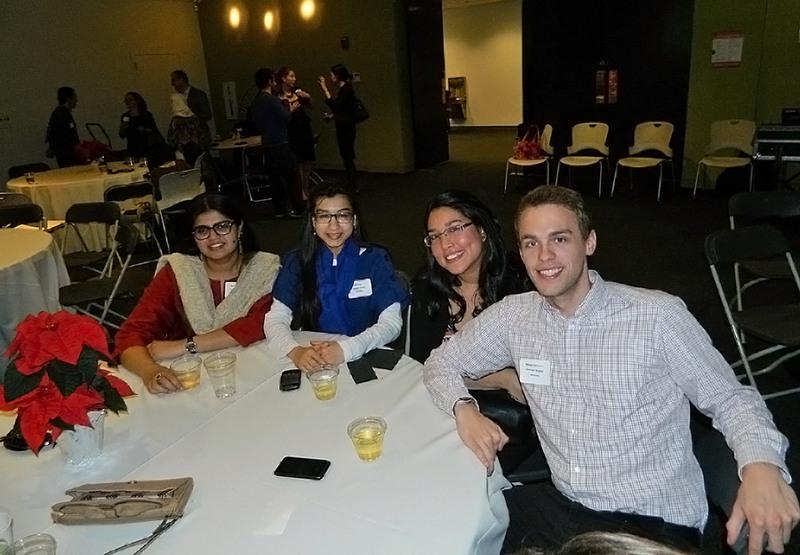 This entry was posted in Fulbright and tagged Ana Gil-García, Chicago, Chicago Chapter of the Fulbright Association, Columbia College Chicago, Dee Sarelas, Dee Sarelas Award, Elio Leturia, fulbright students, Linda Gruber, Nancy Day, Norma Green, World Chicago. Bookmark the permalink. 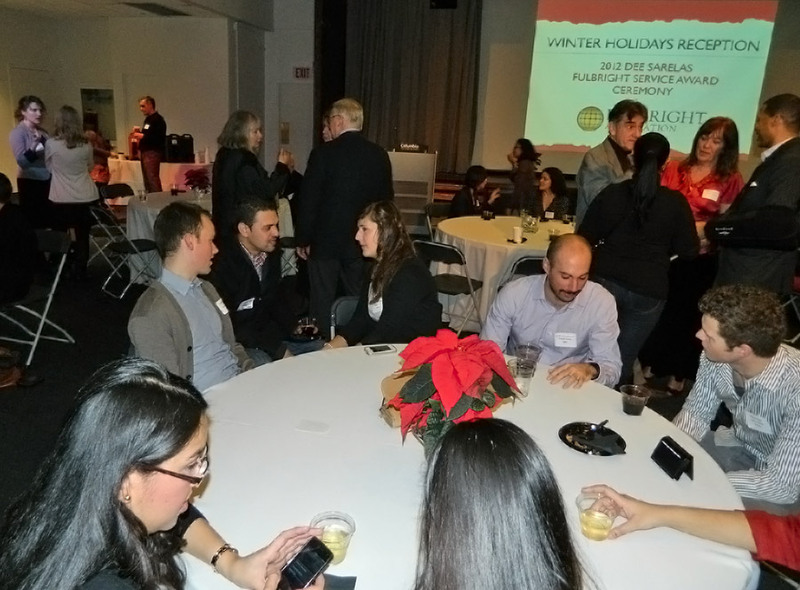 Once more the Chicago Chapter of the Fulbright Association provided an incredible evening of collegiality and familiarity. 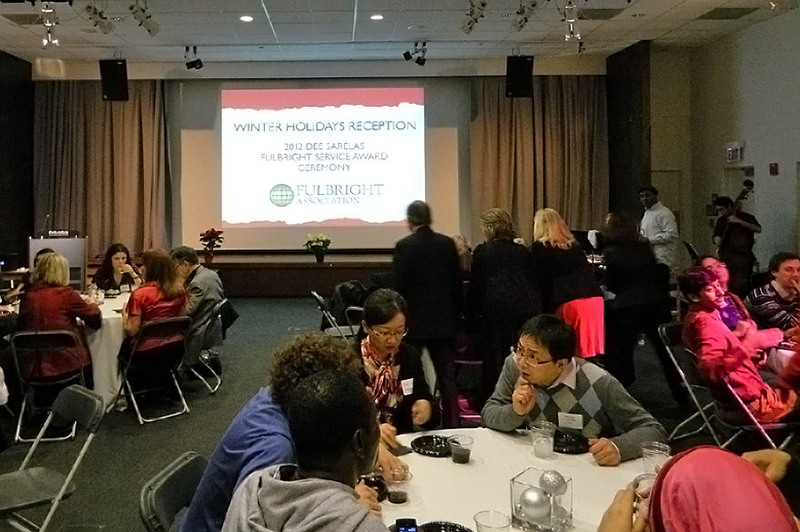 Our host Columbia College kindly opened, one more time, its doors to receive Fulbright students and scholars as well as alumni and guests and celebrate the holidays. Elio Leturia will always be remembered as one of the most dedicated and hard working leader of our chapter. I am glad that years ago during my presidency I invited Elio to be a member of the board. Not only he learned the association ways of doing things, but he excelled and perfected what we traditionally did. Thank you Elio for your inspirational presidency. My welcome to Ron Harvey, our newly appointed President of the Chapter. I am also very positive that Ron will take us to another dimension of excellence in the role that the chapter will play in the Chicago community. 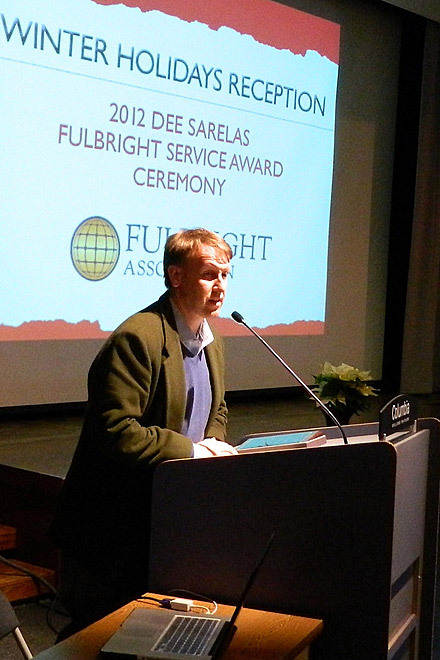 I am honored of being one of the recipients of the Dee Sarelas Fulbright Service award! 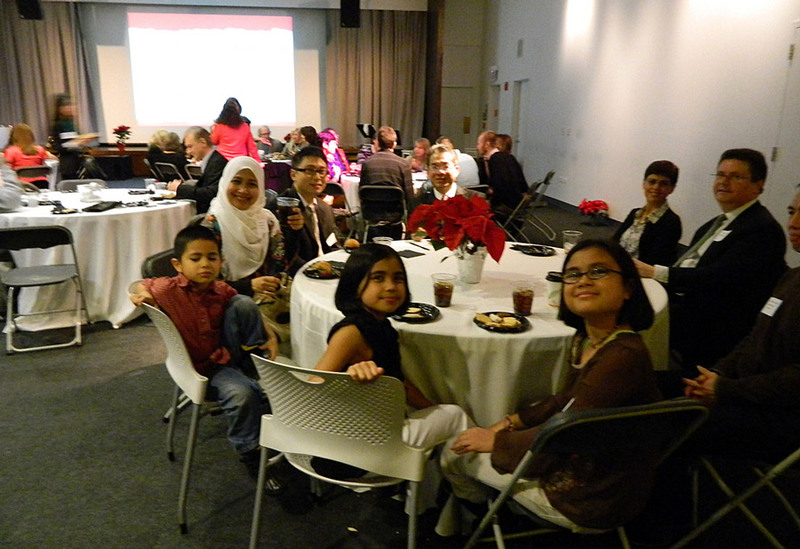 It implies higher social responsibility and stronger civic engagement through the Book Partnership. 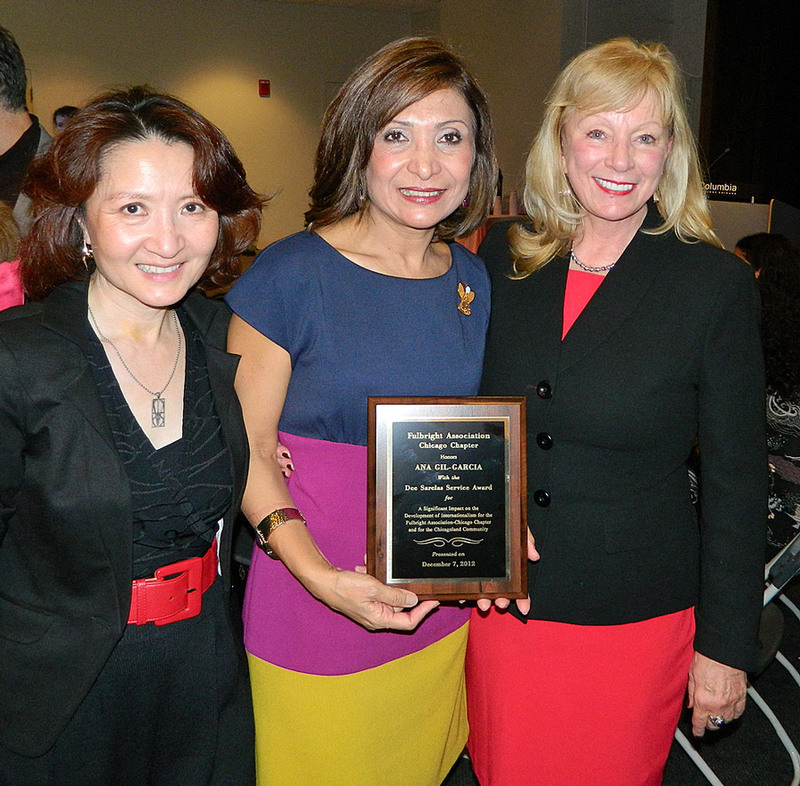 Thank you again for the award and a lovely evening to celebrate our chapter end of the year accomplishments!